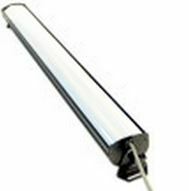 Area Bar Light for Machine Vision is the most efficient and economical LED replacement technology available for the fluorescent tube. 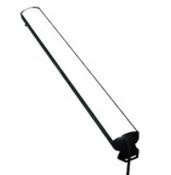 Area Bar Light is best applied where a highly intense, yet widely diffused light beam is required. Isotropic lensing produces extremely even illumination and eliminates the glare and hot spots inherent in LEDs. 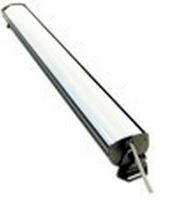 The Area Bar Lights mimics the softly diffused output of fluorescent fixtures like no other ordinarily diffused LED fixture can. 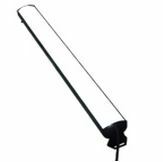 These fixtures produce higher power and more stable output than fluorescents while featuring the long lifetime expectancy and low cost of ownership of LEDs. Solid-state performance ensures 75,000 hour lifetime expectancy for each of our Machine Vision lighting systems. 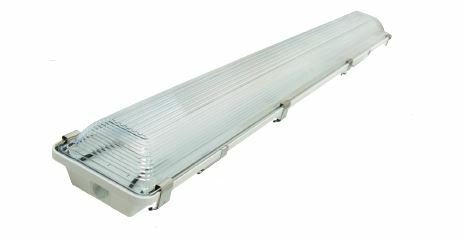 Our range Backlights includes several models, colours and lengths and there are also custom orders available. For more information and advice please contact us through an inquiry. 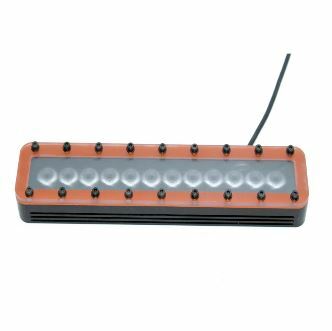 Ideal for Machine Vision front lighting and Machine Vision backlighting applications. 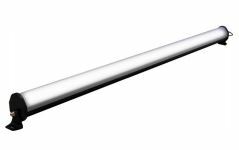 100" ExoLight v2.0 White , 24VDC, 0-10V intensity control cable. Needs brackets!